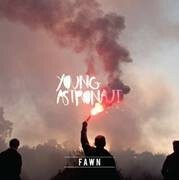 On the 12th March, Young Astronaut will release their entre debut album, ‘Fawn’, as a free download. 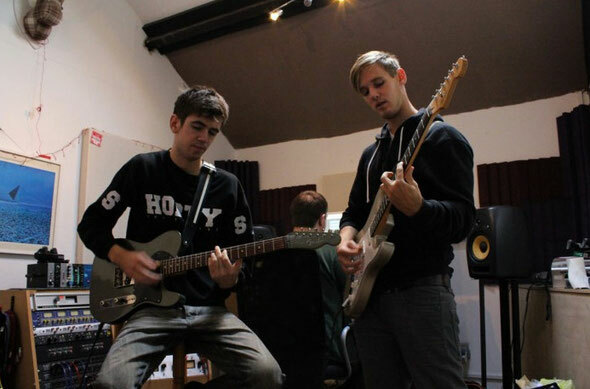 The band originated in the suburbs of the New Forest as brothers Chris and Pete Boakes in 2007 and whilst at different universities, they’d return home for the holidays and spend their time experimenting with their harmonious and considered blend of music that is the foundation of the band’s delicate tonality. In early 2011, the melodic explorations of the acoustic ideas and lyrics were refined and evolved until ten tracks were formed, creating the basis for ‘Fawn’. During that summer, drummer Niko Battistini joined the band adding a strong percussive shift to the band’s dynamic. This new sound was then complimented with a score of rough cellos and violins before being taken to The Ranch and produced by Geoff Swan; after which Paul Meeson joined them on bass guitar. In support of upcoming tour dates in March and the summer festival season, Young Astronaut are releasing the entire album as a free download from their website www.youngastronaut.co.uk. The ten track LP, mastered by Jon Astley (The Who, Bon Jovi & The Rolling Stones), demonstrates a fusion of acoustic, folk and indie with lyrical content ranging from eternal innocence to sofa surfing to a love* story between an artist and a villain. The resulting record is an emotionally charged debut from Young Astronaut, blending influences from English night folk to post-grunge with a maturity and finesse that falls somewhere between Ben Howard, Frank Turner and a young Radiohead. * The word ‘love’ was not used once in the making of this record!